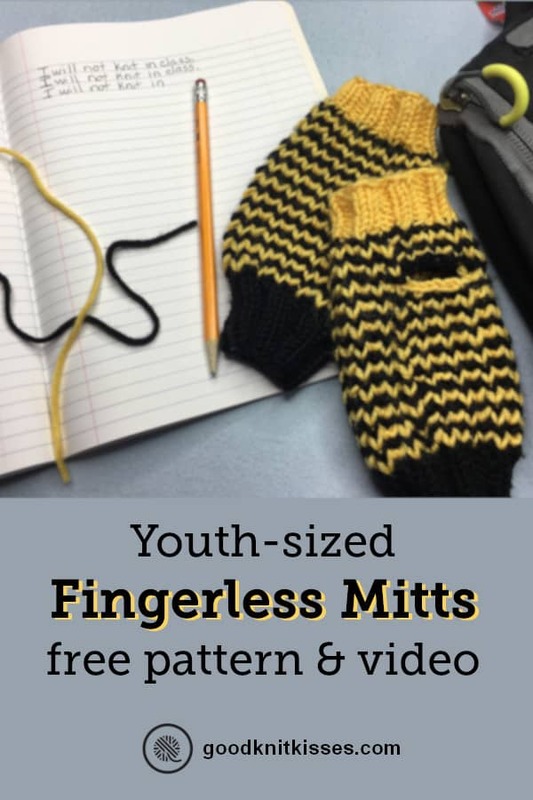 Keep your kids cozy this fall with my youth fingerless mitts pattern. 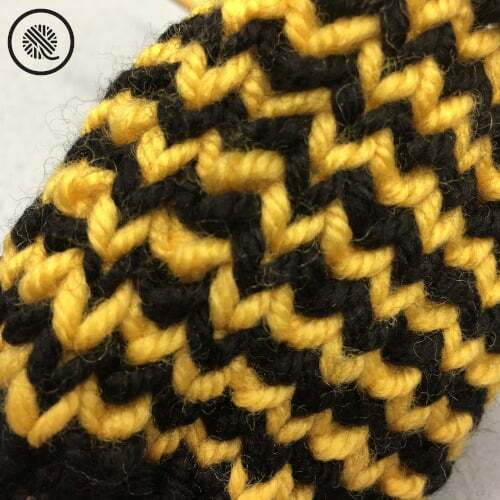 The Bumblebee Fingerless Mitts can be worked on either knitting needles or a knitting loom. These mitts may look a little familiar to you. 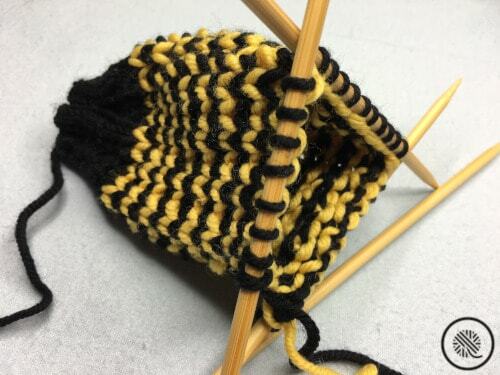 When I was working on my Chic Fingerless Mitts pattern my son came to me and asked for a pair. Since I’d only been working on adult sizes I had to do some quick calculations to resize the pattern. 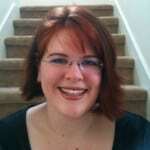 (Thankfully, I have a handy cast on calculator right here on my blog!) 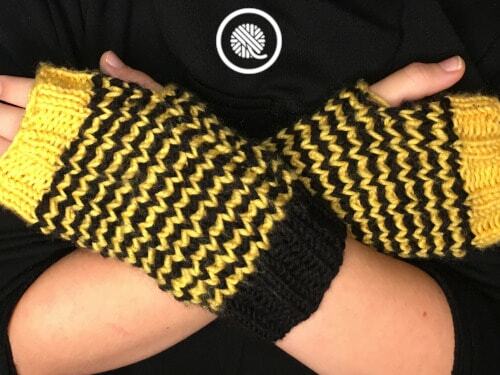 Since my little guy loves yellow I knew I wanted to make the mitts black and yellow striped. The basic stitches are the same as the Chic Fingerless Mitts, but the number of cast on stitches and row counts are adjusted to give a perfect fit to your grade or middle schooler. The full pattern is right here on this page. 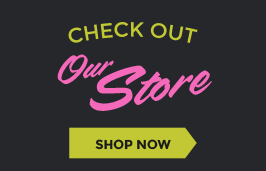 For a downloadable PDF version see my Ravelry Store. With A cast on 28. Divide sts on 3 needles leaving at least 10 stitches on last needle. Join in rnd, place marker on first st for beg of rnd. Work 1 1/2” (4 cm) in (K2. P2) ribbing. (10 rounds). 1st rnd: With A purl. 2nd rnd: With B K1. *K1below. K1. Rep from * to end of rnd. 4th rnd: With A same as 2nd rnd. 3rd rnd: With B purl to last 8 sts, loosely bind off 6 sts. Purl to end of rnd. 4th rnd: With A, K1. *K1below. K1. Rep from * to first bound off stitch. Cast on 6 sts using backwards loop cast on. Knit to end of rnd. 3rd rnd: With B same as 1st rnd. With B work about 1” (2.5 cm) in K2, P2 ribbing. (6 rounds). Bind off in pattern loosely. Weave in all ends. With A cast on 28 sts. Join in rnd, place marker on first st for beg of rnd. Work 1 1/2” (4 cm) in (K2. P2) ribbing. (12 rounds). 1st rnd: With A P1. *SwyifP. P1. Rep from * to end of rnd. 3rd rnd: With B P1. *SwyifP. P1. Rep from * to last 8 sts, loosely bind off 6 sts. Purl to end of rnd. 2d rnd: With B K1. *K1below. K1. Rep from * to end of rnd. With B work about 1” (2.5 cm) in K2, P2 ribbing. (7 rounds).